I’m always looking for new ways to make an extra buck. So when we needed someone to try out CashCrate — we vet everything we write about around here — I volunteered as guinea pig. The site promises you can earn money taking surveys, completing offers and shopping online. But does it really work? Or is it a scam? 4 p.m.: Register for the site and earn $1. Answer a bunch of questions about my age, income, marital status, etc. 4:10 p.m.: Earn another 50 cents for completing my profile! I’ve now earned $1.50 in 10 minutes. This is going well. 4:11 p.m.: Jump right into the surveys. Fill out my personal information on four different surveys, only to be told I’m not eligible for any of them. 4:23 p.m.: Start to get depressed from typing the age “29” and the marital status “single” over and over again. Head to our beer fridge for a pick-me-up. 4:30 p.m.: Get denied from three more surveys. Have I really spent half an hour of my life on this? 4:31 p.m.: Decide to watch the three-minute tutorial video. My mom always told me (to little avail) to read the instructions first. Maybe I’m doing something wrong. 4:34 p.m.: Learn the “offers” are where the money’s at. Pursue an offer worth $1, plus the chance to win a $100 Amazon gift card. See my progress bar going up and up. I’m almost there! 4:47 p.m.: I’ve been at “90% complete” for a while now, but to receive my $1 — or potential $100 gift card — I have to sign up for one of several dozen paid services. I should’ve known it was too good to be true. 4:48 p.m.: I’m drained. Time for a snack. 4:51 p.m.: Give it one last shot, and watch a three-minute video. Open a new tab so I can read celebrity gossip while it plays in the background. 4:54 p.m.: The video is over! And I’ve successfully earned… two cents. TWO CENTS. 4:55 p.m.: I’ve now earned a grand total of $1.52. It’s looking like a long road until I earn the $20 required to be paid out. 5 p.m.: Decide to call it a day. I’ve said goodbye to one hour — and perhaps my identity, since I handed over my personal information to about a dozen shady-looking websites. Young women are some of the biggest participants in survey sites, so the allotment for people like me gets filled up pretty quickly. You might have better luck if you’re from a different demographic. This is the first time I’ve ever used a survey site. If you’re more familiar with the process (and which offers pay well), you’ll probably do much better than I did. The offers tab is the place to go if you want to earn money quickly. Some require you to give your credit card number and sign up for free trial subscriptions; just remember to cancel before the due date. So, is CashCrate a scam? No. It’s been around since 2006 and has two million users. It’s free to use and — with diligence, or by referring your friends — you can actually earn money with it. For proof, check out its Payment Wall, where users share their actual checks! That being said, is CashCrate worth your time? I, for one, won’t be using it again. But if you’re bored watching TV, and want to click around something, feel free to give it a shot. 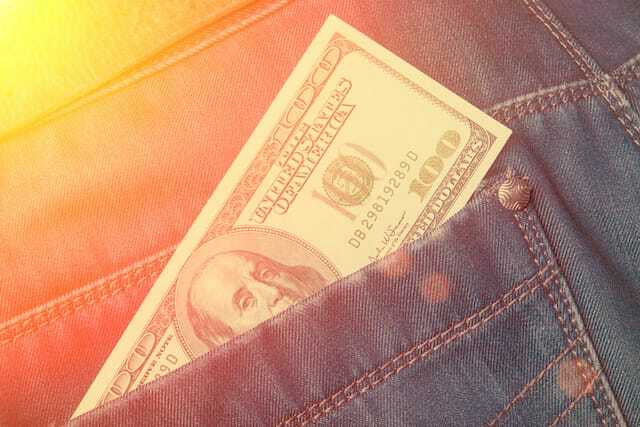 Or better yet, try one of these 32 awesome ways to make money at home. Your Turn: Have you used CashCrate before? What did you think?